Planet Rock is auctioning 17 rock star signed Pure Marshall DAB radios as part of its Movember campaign. 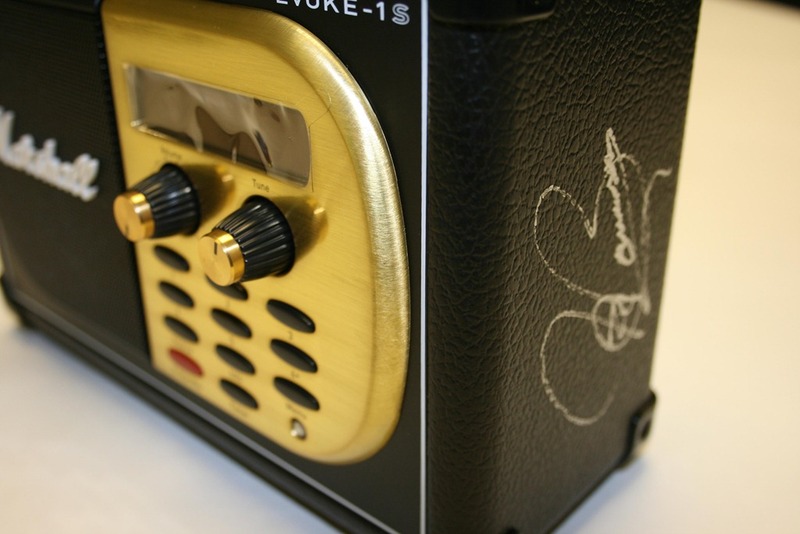 To bid for Joe Bonamassa’s signed radio go here. The auction finishes 4pm on the 21st November. Throughout the month, members of the Planet Rock team are growing moustaches to raise vital funds and awareness for men’s health issues, specifically prostate cancer and other cancers that affect men. The station will also be encouraging its listeners to join in and support the team. Money will be raised via donations through the Planet Rock website and the station will be auctioning rock star signed Pure Marshall digital radios. The 17 radios, signed by artists like Jeff Beck, The Foo Fighters and Alice Cooper go under the hammer during the month.